How many people and businesses use podcasting? When it became the new social media buzzword in 2004, it promised the world. Has it lived up to the hype? The question really is divided into two parts: one, businesses using podcasting to advertise and expand their marketing audience, and two, the people who actually are part of the audience. Since the start of podcasting around 2004, many media skeptics considered it to be a flash in the pan. Why would people go to the trouble of downloading amateurish content to an MP3 player when they could have things free on the radio? However, the statistics showed a steadily increasing growth in listeners. In 2009 eMarketer reported that podcast listeners had increased from 17 million users in 2008 to 21 million users in 2009. Further, they extrapolated that by 2013 the numbers would grow to 37.6 million listeners, accounting for 17 percent of all Internet usage. That study from 2009 may have turned out to be conservative. According to a recent Nielsen study about the habits of business users, the single most common activity among Internet users is social media and blogging (which includes podcasting, as a kind of audio blog). This is not a steady, small incremental increase as projected by eMarketer - this is a 43 percent increase from 2009 to 2010. But that's only half the story. That's the media audience; what about the businesses that want to use podcasting? Advertising and marketing in general have been going through a revolution since the introduction of social media to the landscape. Suddenly people are much less apt to be swayed by traditional advertising techniques such as print ads and commercials. Worse, it's harder to tell what will induce people to buy. This has made many businesses hesitant to spend money on advertising in podcasts. Until, that is, the statistics started coming in. According to the Edison study, an amazing 37 percent of podcast listeners have a positive impression of the businesses that advertise on podcasts. That's in sharp contrast to the six percent that have a positive impression from TV ads. Many other stats showed that podcasts are a remarkably effective way to get listeners to be more receptive to ads. 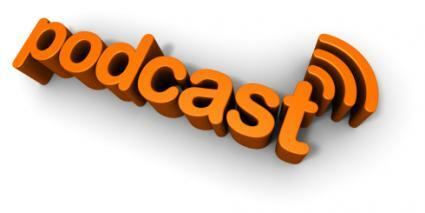 Looking at iTunes podcasts show that many traditional media businesses have adopted the podcast model for distribution. Examples include NPR, CNN, brands such as Nike and even higher education like the University of Pittsburgh. In fact, there are over 150,000 podcasts on iTunes, and it's impossible to say which ones are businesses and which ones are simply sponsored by businesses. The only real statistic that is known is that the number is growing every day.